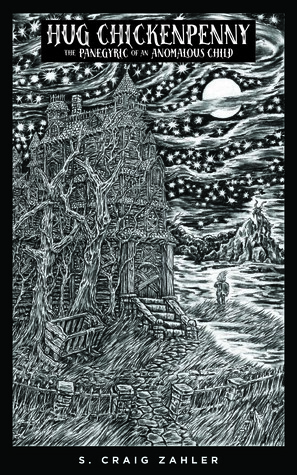 Hug Chickenpenny is an anomalous child. Born from tragedy and unknown paternity, this asymmetrical and white-haired baby inspires both ire and pity at the orphanage, until the day that an elderly eccentric adopts him as a pet. The upbeat boy's spirit is challenged in his new home and as he is exposed to prejudiced members of society in various encounters. Will Hug and his astronautical dreams survive our cruel and judgmental world? I have never heard of this author before, despite him being well known for his books, movies, screenplays and music. 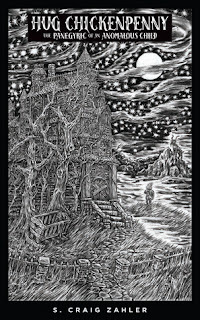 I am kind of surprised that someone so accomplished has not crossed my radar before but now that he has, I can say that I did enjoy the idea of Hug Chickenpenny. After all, who does not enjoy the story of an underdog, and especially one who overcomes all sort of obstacles? The entire idea what intriguing at the beginning but I found the story to be somewhat disjointed as it would skip entire time periods, even years before settling back in and focusing on an event or two. And some of the events would be intrinsic to the story; others, not so much. There did not seem to be any rhyme or reasons to how the story played out and developed. Many things were left unanswered in the story, like exactly why Hug's mom had not survived child birth and there was also the mystery of his parentage and illnesses. I did like the overall story but too many gaps in the tale prevented me from loving it.